Our friends over at the EPIC Block Club are having their annual meeting this weekend. If you live within their boundaries and are interested in getting more involved with your local community head on over there Saturday morning. It looks like Harry will be giving a “State of the Ward” style update to the neighbors. Still wondering which Edgewater block club you belong to? Have a look at The Edgewater Block Club Map. 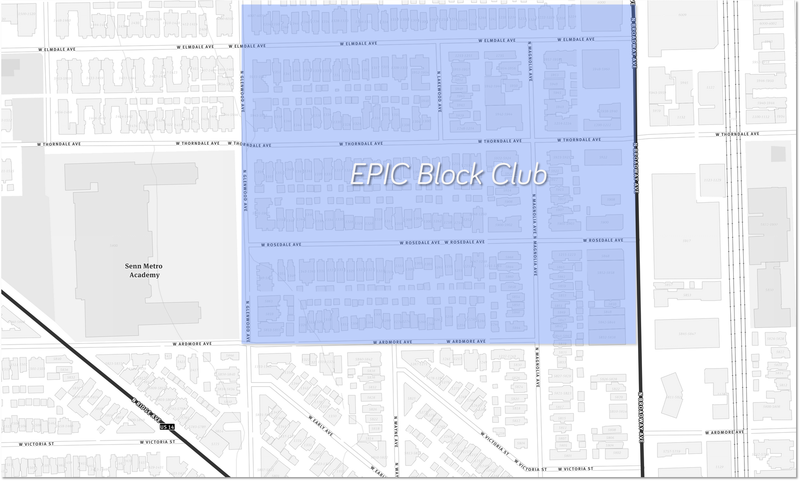 EPIC Block Club serves the Magnolia Glen neighborhood of Chicago. Its geographic borders are the west side of Broadway, east side of Glenwood, north side of Elmdale, south side of Rosedale and both sides of Magnolia to Ardmore. At this important neighborhood meeting we will elect our new officers, collect your annual dues (only $10 per family…$ or check please) and discuss future EPIC activities. 48th Ward Alderman Harry Osterman is scheduled to speak at the start of the meeting and give us an update on area projects and activities that directly impact our immediate neighborhood, including Broadway redevelopment (Whole Foods, Broadway Bank block, new businesses, etc. ), public safety in the EPIC area and Thorndale anti-crime efforts. We’ll also have a representative from the Senn Park Advisory Council updating us on Senn Park renovations, along with taking a survey of our members about the park. All of this along with information on the EPIC Block Club’s annual block club party and the neighborhood wide garage sale, both to be held in June. Coffee and breakfast pastries will be provided.